of the 35mm film, below the sprocket holes. There is often an odor, like vinegar. and do not cover all situations. oxygen, and releases toxic fumes. precautions must always be taken. 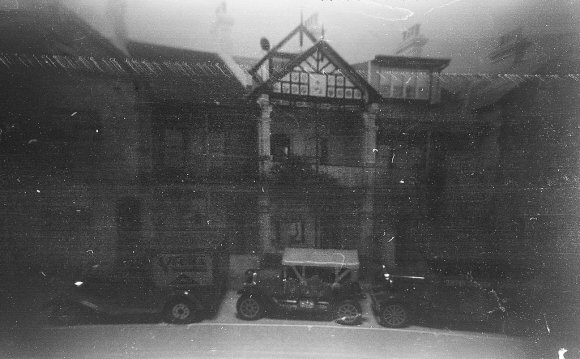 picture film until the 1950s. 1. Amber discoloration with fading of picture. 2. Emulsion becomes adhesive and film sticks to itself. 5. Film is wet & soft. Often welded to itself & frequently covered in a viscous froth. 6. Film mass degenerates into a brownish acrid powder. many parts of film in its third or fourth stage of decomposition. chemical attack on other films. instructions and requirements. (These can change from time to time). as well as labeling and packing. jostling around . . . Pack it as if it were fine crystal. Above: Random decomposition of 35mm Nitrate film. the inevitable deterioration of nitrate film. humidity exceeding 60% should be avoided. own metal cupboard or in another building. gasses to escape and avoid the risk of explosion.